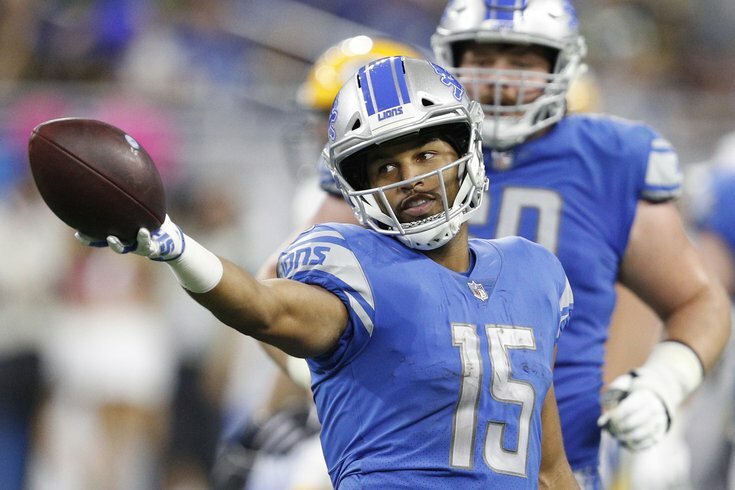 The Philadelphia Eagles announced that they have traded for Detroit Lions wide receiver Golden Tate. In return, the Lions will receive the Eagles' third-round pick in the 2019 NFL Draft. An updated look at the Eagles' 2019 draft picks can be found here. As you can see, he had a pair of 1000-yard seasons in 2016 and 2017, and is on pace for another one in 2018. Tate gives the Eagles a fourth weapon in the passing game alongside Ertz, Jeffery, and Agholor. There's little question he helps the team, in 2018. Tate is the final year of his contract, and he is 30 years old. As such, the cost of a third-round pick is high. A couple weeks ago, we took a sneak peek at the Eagles' 2019 salary cap (and beyond). They are going to be up against the cap, so it is imperative that they hit on as many draft picks as possible. Using a third-round pick on potentially an eight-game rental is a short-term move. Of course, many have pointed out that the Eagles could get a compensatory pick in return for Tate if he walks in free agency next offseason. NFL Network analyst Daniel Jeremiah, for example, believes that the Eagles can maybe get a third- or fourth-round comp pick back if Tate signs a lucrative deal in free agency next year. If Tate walks after the season, PHI would likely receive a 3rd or 4th rd comp pick in 2020. Lions chose to make the trade to get that pick now, instead of waiting a year for comp pick. So many teams need weapons for their young QBs...Tate will get big money in the offseason. While I respect Jeremiah more than perhaps any other national analyst, I disagree with his optimism. To begin, there's a near zero percent chance that a 30-year-old No. 2 receiver will net anything close to a third-round compensatory pick. Only four were awarded a year ago, which is about the typical yearly average. Tate is not going to land one of the four highest contracts in the NFL next offseason. A more reasonable expectation is probably a fifth-round comp pick (a longer explanation on that would be an extra thousand words), and something closer to a fifth-round pick isn't even assured. To receive a comp pick, the Eagles would have to lose more players than they gain in free agency, though that is likely. And secondly, projecting a comp pick for a player assumes he won't have some sort of long-term damaging event occur that will hurt future earnings, like a torn ACL, for example. Carson Wentz has been outstanding this season, and yet, the Eagles are 22nd in the NFL in points scored. If they are going to make any noise this season, they need help. Tate will provide help for Wentz, but he is a short-term addition who comes with the loss of a valuable draft pick next year on a salary-cap challenged team that needs to hit on as many low-cost players on rookie contracts as they can.